See more objects with the tag communication, monochrome, grid, mourning, symbols, proverbs, funerals, African, Akan. 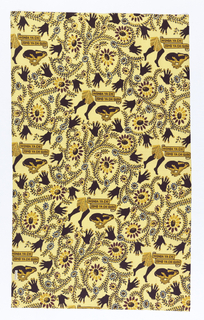 This is a Adinkra ceremonial wrapper. It is dated mid-20th century and we acquired it in 1962. 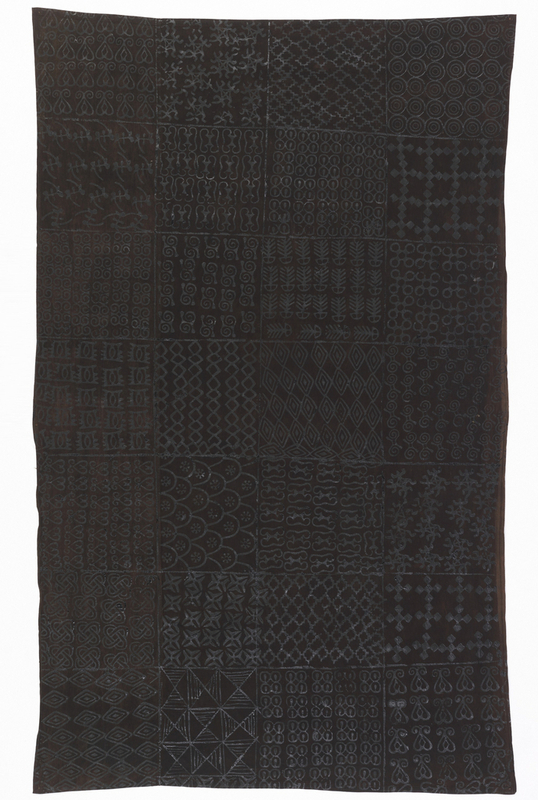 Its medium is cotton and its technique is factory-woven plain weave, dyed, printed with carved stamps (adinkra). It is a part of the Textiles department. 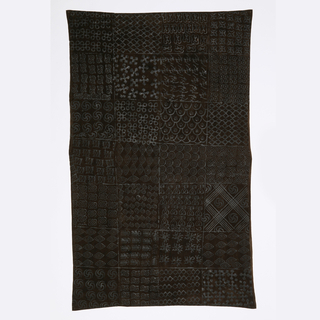 Adinkra is traditionally worn for funerals, and the selection of symbols and their placement on the gridded cloth are understood as a form of communication between the living and their ancestors. Stamps carved from pieces of dried calabash gourd are used to print the designs with a thick, tar-like ink on the dyed cloth. 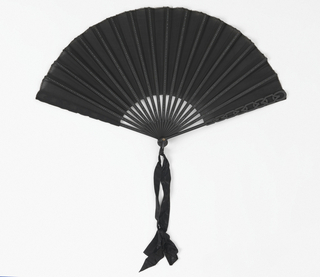 Here, the black-on-black pattern is only visible due to the gloss of the ink. English translations of proverbs expressed in adinkra are often quite varied. 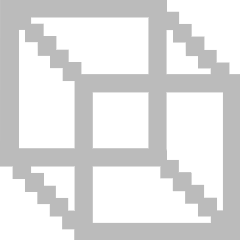 The interpretations cited here are taken from Kojo Arthur, Cloth as Metaphor: (Re)Reading the Adinkra Cloth Symbols of the Akan of Ghana (Legon, Ghana: Center for Indigenous Knowledge Systems, 2001). 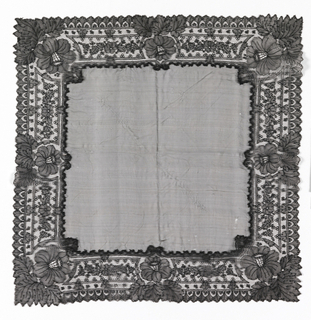 This object was featured in our Object of the Day series in a post titled Symbol and Meaning. This object was bequest of Mary Kirby. It is credited Bequest of Mary Kirby. Gift of Mrs Calvin W. Stillman. This object was previously on display as a part of the exhibition	David Adjaye Selects: Works from the Permanent Collection.